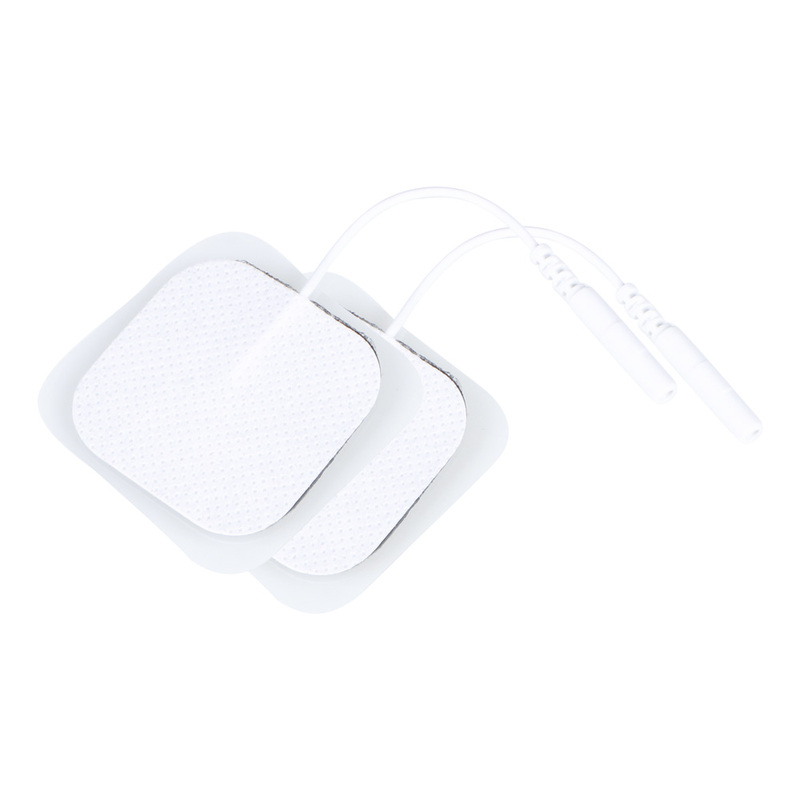 2) Non-woven Fabric electrode Pads. 3) Self Adhesive, Re-usable, Long Life. 4) Bio-compatible, Dry out Resisting. 5) Lower Impedance, More uniform current distribution. 6) No hot spots, more stimulation comfort. 7) Durable construction: can even pull out from the lead wire without damage. 8) Unlike others, not plastic. 9) Specially designed holes, on each pad, to release the generated heat and give more comfort and less irritation. 10) Specially selected size 4 x 4 cm, Larger pads had no additional benefits, just more heating/irritation of the skin! Fits 2mm (0.08 inch) plug.